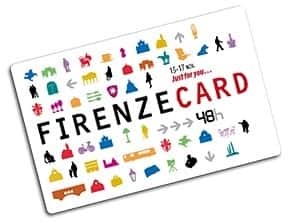 Firenze Card is a free access card for the museums of the Florentine area promoted by Municipality of Florence, leader body, Province of Florence, Chamber of Commerce of Florence and Bank CR Firenze. It is an instrument aimed at increasing the enjoyment of the cultural heritage of the city and its neighbourhood and at knowing less popular museums. Thanks to Firenze Card you can enter a circuit which includes about twenty public and private museums situated not only in Florence but also in some towns of the area; by Firenze Card you can enter permanent collections, temporary exhibitions and any other activity organized in the museums without limits. Firenze Card allows to visualize the calendar of the available events during the year, to personalize your visit in Florence, verifying the opening and the timetables of the museums and to fix, according to your tastes and interests, the tour for visiting the city, through an interactive way directly from this website. Firenze Card is an instrument used to decipher the symbols of the Florentine alphabet: each symbol corresponds to a museum and a possible route to be discovered and personalized. On the occasion of BTO Buy Tourism Online 2009 , that will be held at Leopolda Station on 16th and 17th November, it will be experimented a prototype of Firenze Card 48h, with which some operators attending the Fair will be allowed to free visit 8 pilot museums of the city and to use the ATAF means of transport for the two days of validity.